WHY DOES THE GYM NOT HAVE SHOWERING FACILITY? As a result we recommend that after your workout you bring a change of clothing (another top or t-shirt), change, wear a jacket or coat on top (depending on the weather) and then go home and get a shower. HOW DOES THE NO CONTRACT WORK? You are not tied in any contract for a fixed period of time, to cancel your membership, simply cancel your standing order at the bank, let us know that you have done this and your membership will end on the last day of the month in which you cancel your standing order. You can also pay by cash or card. IS THERE ANYONE AVAILABLE TO HELP AND ADVISE ME AT THE GYM? Yes, whilst the gym is open there are members of the fitness team and personal trainers available who will be happy to help you. We offer a free induction to all our joining members, it is optional and you do not have to opt for it if you do not want to. However if you want an induction and you have not had one then all you need to do is ask any member of staff to book you in. HOW DO I GET MY MEMBERSHIP? We will sign you up for our registration form. When you arrive at the gym (for fire health and safety needs) and makes you part of the club. CAN I COMPETE IN BOXING COMPETITIONS? Yes, once you have learnt the necessary training and passed your medical examination. DO YOU PROVIDE ALL EQUIPMENT FOR BOXING INCLUDING GLOVES? DO YOU DO OTHER CLASSES APART FROM BOXING? Is One to One Boxing Training available? One to One Boxing Training available on request. WHAT PAYMENT METHODS CAN I USE AT THE GYM? We accept all types’ of payments including credit, debit and American Express card payments as well as cash. In terms of the monthly membership fee, we recommend that you try and pay by card payment whenever possible for your own records and set up a monthly direct debit. 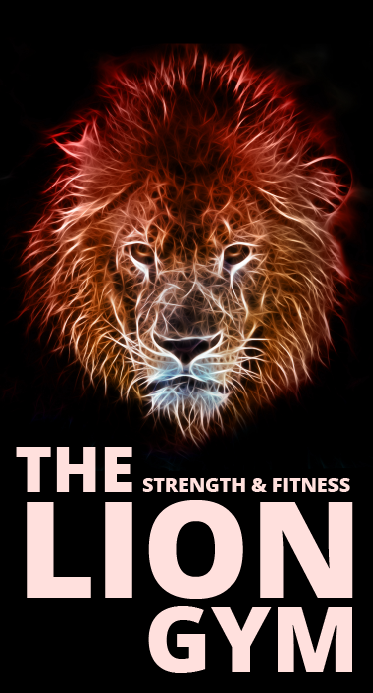 WHY SHOULD I CHOOSE LION STRENGTH & FITNESS GYM? Unlike other gyms and businesses we are your local non-profit making organisation that is staffed mainly by volunteers. The subscription money and donations you provide to us are used to pay our on-going costs, re-invested back into the facilities we provide and helps in our Community work in the area (please see our charitable aim and objectives). Our aim is to offer the best (following years of fitness research) and cheapest gym membership in West Yorkshire at just £10.00 a month. We are voluntarily staffed during the most convenient times, six days a week and offer complete freedom from unnecessary binding contracts. We are aware that large fitness organisations take your money for their own profits and give very little in return. We are located in Robin Mills, BD10 9TE that is in a prime position whether you are coming for a quick workout, after work or even on the weekend and whatever time you need us, we will try and be open. We are even willing to re-negotiate our opening hours if needed. As your non-profit organisation grows we are hoping to offer more fitness classes at a discounted rate. Our class timetable for each week are advertised on the website and are also posted on social media so it is easy to keep track of the classes we provide and the ones you want to attend when you are on the go. And with our free WI-FI Internet it’s even easier to keep track of the classes that are available whenever you’re working out. Personal trainers and gym members are available during all hours at the gym and they can help you achieve your fitness goals faster with both workout and nutritional advice. We have a specialised weights, cardio and boxing area for all gym members. Parking at the Gym is completely free and available for over 1000 cars. All the staffs are friendly and happy to help at all manned hours of the day. The facilities are also monitored closely by CCTV and there are staffs available if you have any concerns, plus we have at least one member of staff (volunteer) on duty to help you or call emergency services if necessary. CAN I PAY UPFRONT FOR THE YEAR? Yes, we have an annual option for £100.00, you can pay by cash or card and there is a small £5 admin fee. DO YOU PROVIDE PAPER TOWELS TO WIPE DOWN EQUIPMENT AFTER USE? No, we do not provide paper towels and request that all gym members bring their own gym towel and this is to keep membership costs at a minimum and avoid unnecessary waste, in line with our GREEN POLICY. ARE WE REGISTERED BOXING CLUB? Yes, we are part of England boxing and all coaches are registered and qualified. CAN I DO BOXING TRAINING JUST FOR FITNESS? yes, you can, without competing – boxing is one of the best forms of fitness exercise. DO YOU HAVE A GYM FACILITY? we have separate gym facility that is available from 8 am to 8 pm 7 days a week. only use during supervised periods 3pm to 8pm and must contact gym to make arrangements.